So, you love to throw parties and always want to make sure that all of your guests end up having a rocking good time. What do you do then, apart from making sure that the caterer gets the job done correctly, not to mention have varying themes all of the time so that none of your parties’ attendees and guests would feel bored each time an invitation card drops by your place? 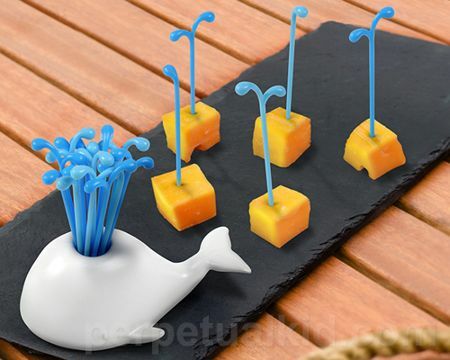 The $11.99 Moby Pick Party Picks is certainly a hoot if you purchase it in order to skewer your snacks. Made out of ceramic, each pack comes with 32 reusable plastic picks where they measure around 3.5” in length and 4.5” in height.